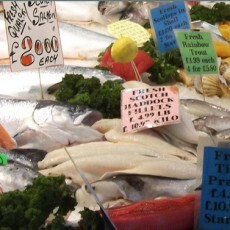 Raymond Linch, Quarterbridge director, designed, specified and built the famous Ashburner Street Fish and Meat hall in Bolton as well as the Fruit and Vegetable Market. 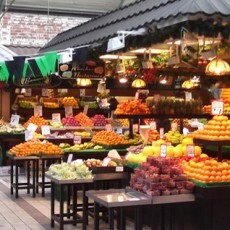 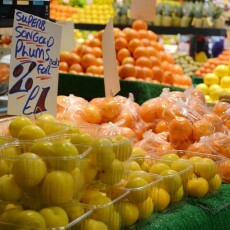 Bolton Market won the NABMA ‘Best Indoor Retail Market’ award in 2010’ as well as ‘Tourism Retailer of the Year 2009’ in the Manchester Tourism Awards. 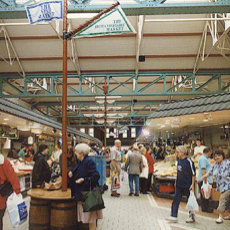 The design ethos for this £1.5 million project was to re-create an outdoor atmosphere to both markets whilst being under-cover and protected from the elements, achieved by tiling the aisles with high-quality tiles resembling granite sets and incorporating traditional roof structures to resemble a busy high street. 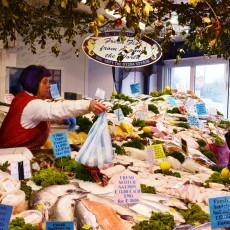 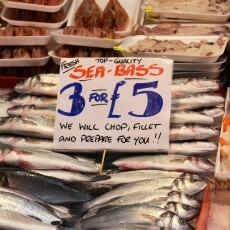 The fish and meat hall was supplied with robust and attractive stainless steel counters and preparation equipment, and the fruit and vegetable market was supplied with bespoke joinery equipment.